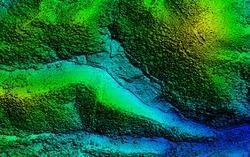 We are among the leading providers of Digital Terrain Models. We are equipped with the required technological infrastructure to be able to provide accurate results to the customers. Our team of skilled professionals is equipped with the relevant knowledge to be able to provide optimum solutions to the customers. We make these available at market leading prices. Any project involving construction or drainage studies require current and accurate project surface mapping. While such data can be easily collected via ground surveys, this methodology can be quite costly for larger projects or those with developed or wooded sites. Casewell Drilling Services Pvt. Ltd. 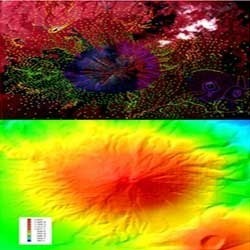 The most basic and interesting geographical data type is the digital Terrain model. 21stcenturygis quickly and easily converts your point data, from existing contour line & dem raster into outstanding contours, flow direction, slope map and 3d wireframe. The topographical survey using Total Station helps in taking all essential measurements to determine the relative position of points and/or physical and cultural details above, on, or beneath the surface of the Earth. A digital terrain model is a digital model or 3-D representation of a terrain's surface. The Digital Terrain Data is an ASCII or binary file that contains spatial elevation data in a regular gridded pattern in raster format. Raster GIS represents the world as a regular arrangement of locations. In a DTD, each cell has a value corresponding to its elevation.